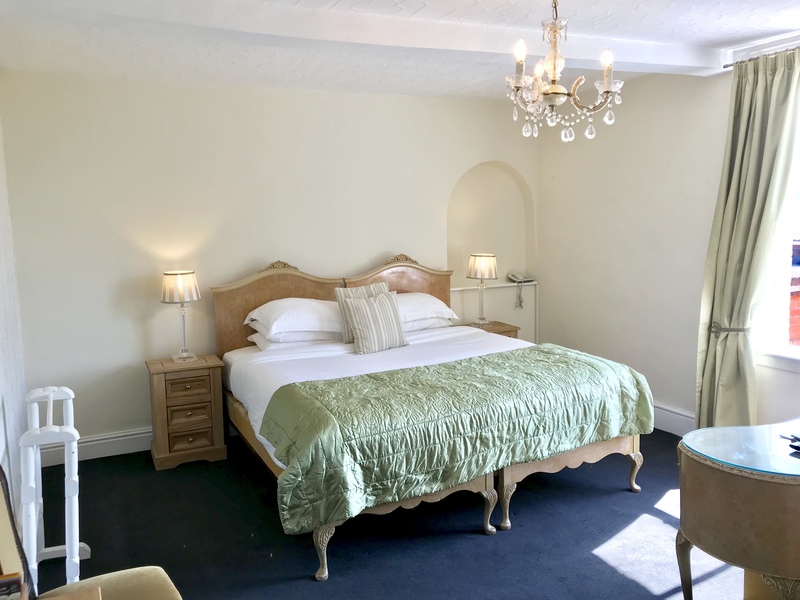 Dressed in fresh greens to complement the antique furniture, the Alfreda room is large and comfortable. 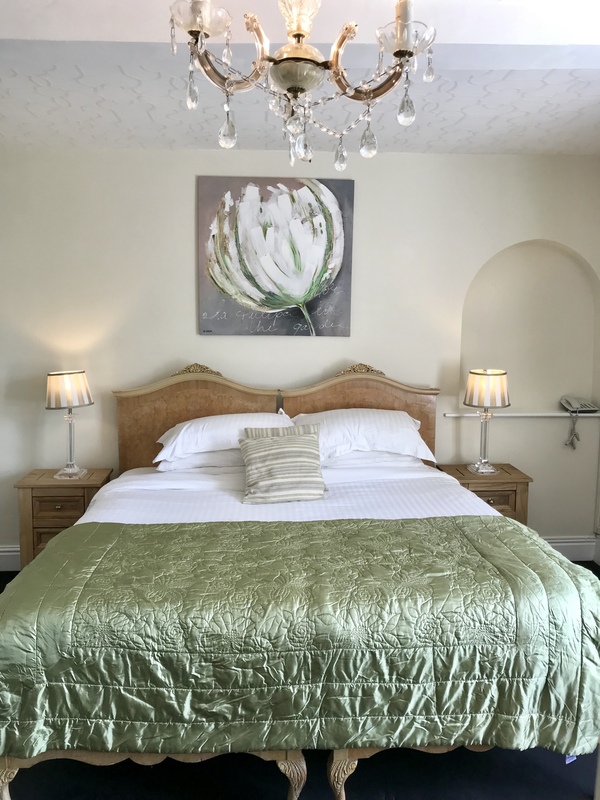 Situated at the side of the hotel overlooking the garden, this is a quiet and flexible room that can be arranged as a twin room or boast a super king sized bed. 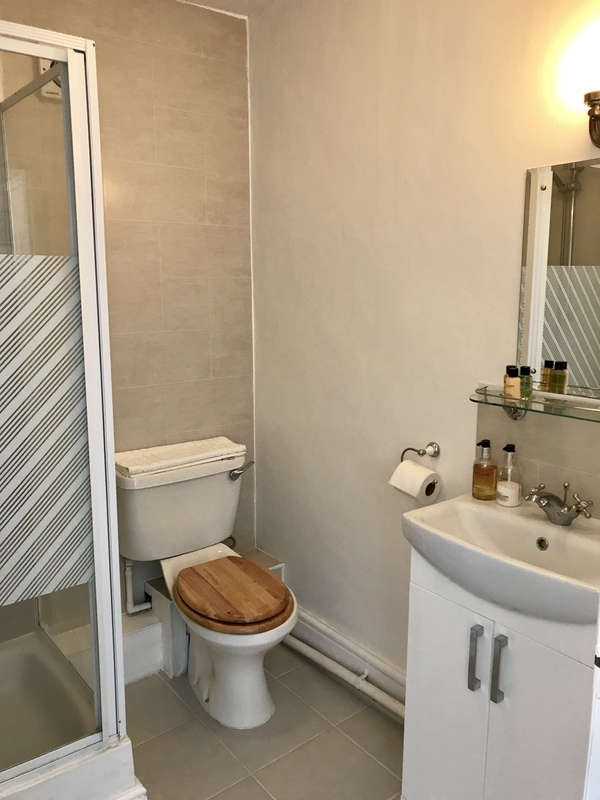 The en suite consists of shower, basin and toilet and complimentary toiletries are provided. Tea, coffee and hot chocolate are available for you to make in your room and are accompanied by tasty homemade goodies. 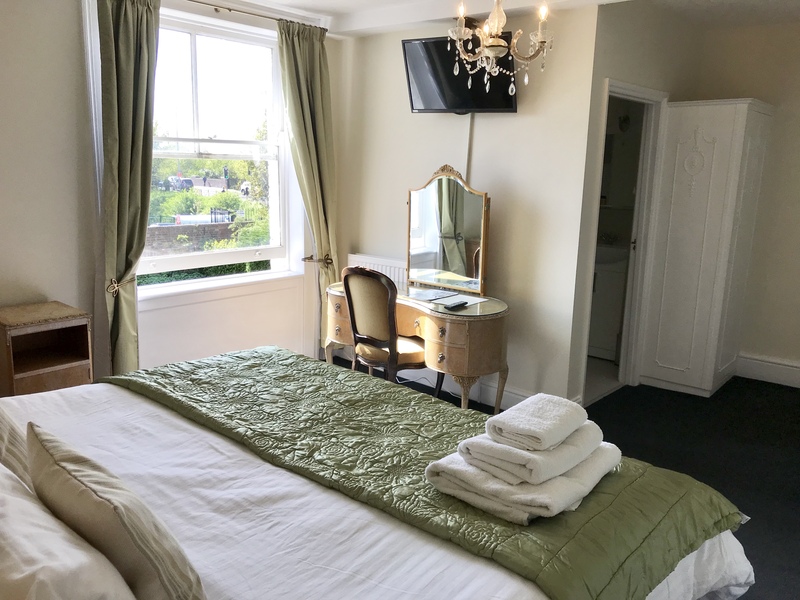 Included in all rooms is a TV with Freeview, telephone, hairdryer, iron and ironing board. Small electric heaters, fans and additional bedding are available on request. There is a strict no smoking policy throughout the hotel. Alfreda can accommodate an additional single adult bed. We charge £10 for each additional guest which includes their breakfast. We also have a travel cot that can be requested and for which there would be no charge. We offer a range of additional services which can either be pre-booked or arranged during the course of your stay with us. We offer free Wi-Fi throughout the hotel and free car parking as well as early check-ins and late check-outs when possible. Our guests' sitting room houses a licensed bar and a television can be requested for sporting events or other social occasions. Laundry services and daily papers can also be arranged for a small additional fee and are designed to make your stay as hassle free as possible so please do not hesitate to ask about such details. 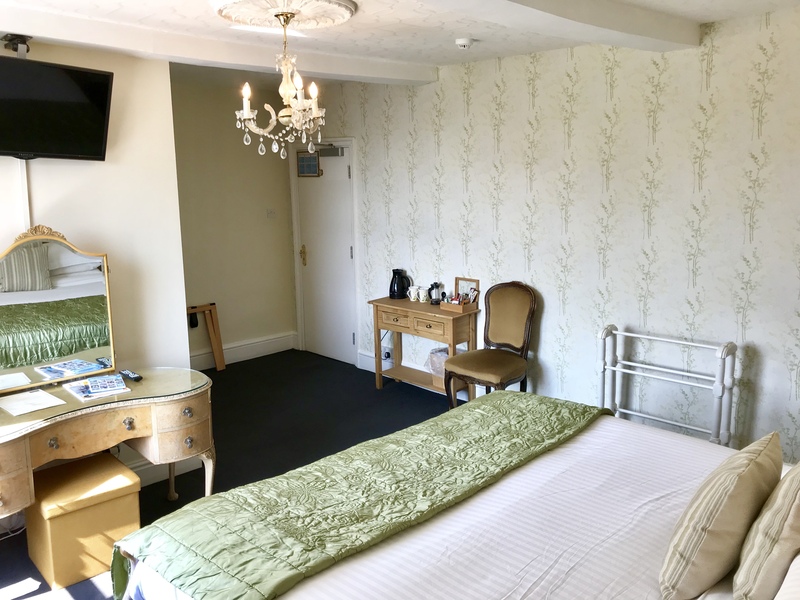 While we do have wheelchair access to all our ground floor function rooms including toilets, unfortunately we do not have any ground floor bedrooms. With Aylestone Court being a Grade II listed property, we are unable to install a lift to the upper floors. We are very happy to recommended other local establishments with ground floor bedrooms if necessary.